I love eating fish, as do all my family! A meal with fish is one that I can place on the kitchen table knowing that everyone will eat it without question. Furthermore take my family to a seafood restaurant and I please everyone! 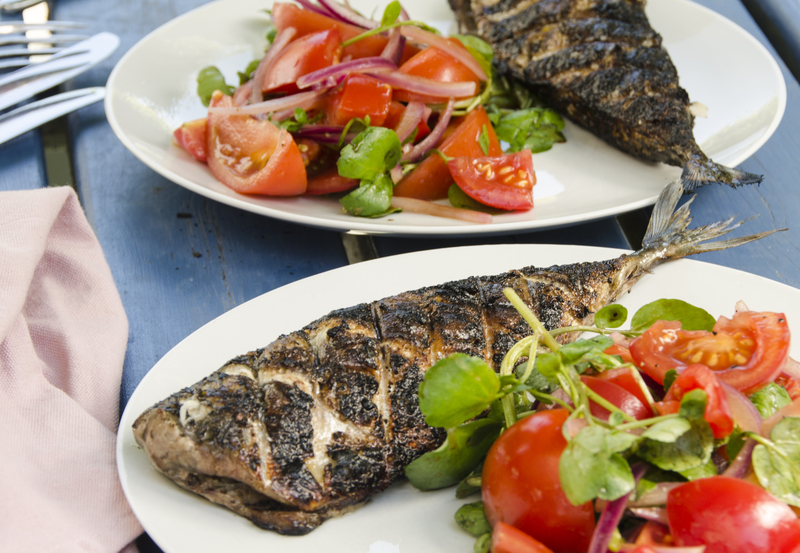 Fish is a fantastic protein, quick to prepare and cook whilst being good for you. “Why is fish always battered?” – a question thrown at me by my youngest. Now I love fish and chips as much as the next person, but she does make a good point. Fish is wonderful when cooked simply, a pan-fried fillet of fish with a herb butter, ready to serve in minutes. I will happily eat fish at any time of the day. From smoked haddock and poached egg for breakfast, through to a fish pie for dinner. With a huge variety to choose from, I have yet to find a fish that I don’t enjoy. (Although if I’m being entirely honest there are some shellfish that fall into this category). However my Lost in Food blogging buddy Michelle used to feel very differently! She grew up on a island on the East Coast of Canada where fish, particularly salt cod, was readily available. So like many children, if you’re over exposed to one thing it can make you either love or hate it. It was definitely a case of the latter with Michelle. However never one to shirk away from a challenge I decided to try and turn this around. I did this as much for her husband who loves fish, as anything else! I first cooked Michelle this simple asian seabass, cooked en-papillote (steamed in a parcel) when we first started blogging together. Although we use seabass in this recipe, it works just as well with other white fish. There is much written about the health benefits of oily fish. 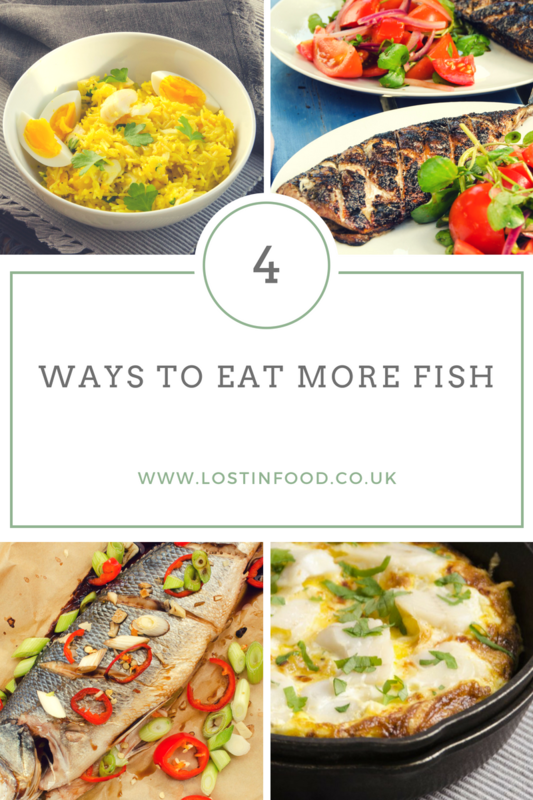 Put simply we should all be eating more oily fish, ideally two portions a week. Baked salmon is a regular on my dinner table. Served brushed with olive oil, sprinkled with some chopped thyme and black pepper before being wrapped in parma ham. 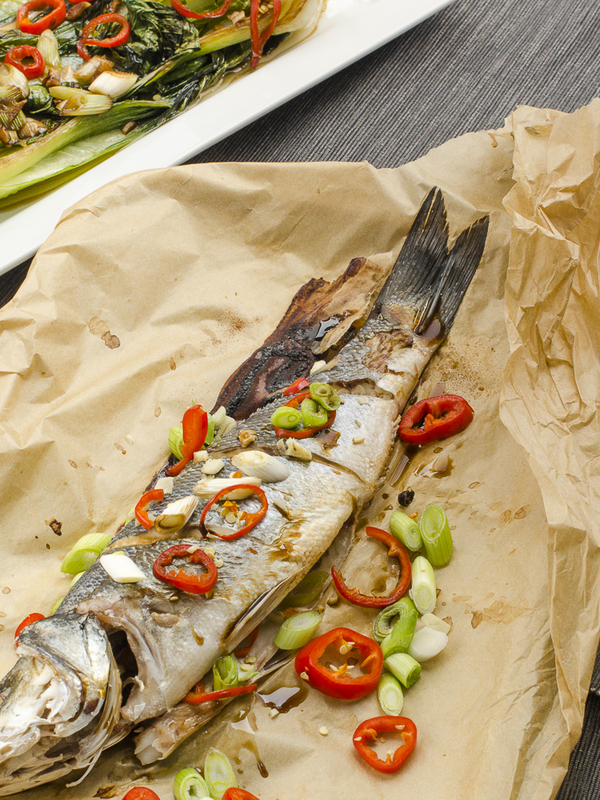 However another favourite is barbecued devilled mackerel, it takes very little time to prepare and tastes delicious. If you don’t have access to a barbecue this simple marinated dish works just as well if you pan fry the fish instead. Nevertheless if the barbecue is hot and the sun is out, its more than worthwhile grilling these fish. It will taste a lot better eaten outdoors as food always does. Fish and Eggs – comfort food at it’s best! If it’s quick and easy food that you’re looking for, fish is right up there with eggs as my regular go to. 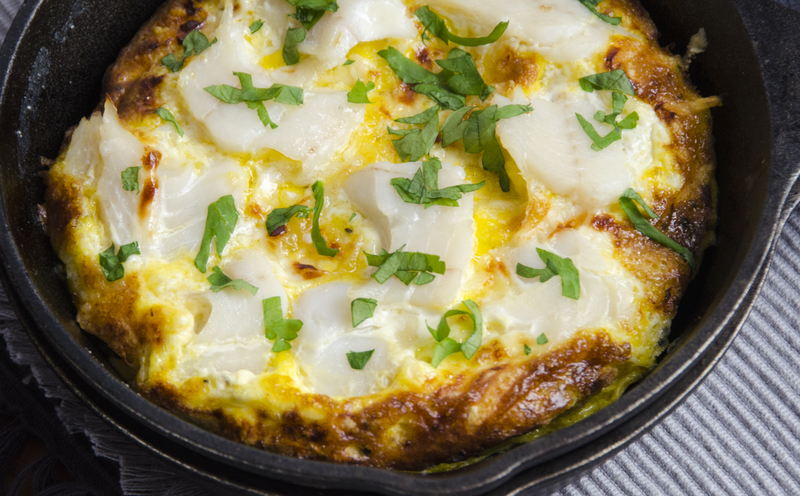 No dish showcases this better than Omelette Arnold Bennett. Originally designed as a breakfast dish for the author Arnold Bennett when he was staying at the Savoy, with a bechamel sauce atop an omelette. I’ve played with this recipe over the years and I prefer this lighter version which marries my love of omelette with my love of smoked haddock perfectly. Indeed I’d go as far as to say that this is comfort food at its very best. Finally to one of my all time favourite dishes. 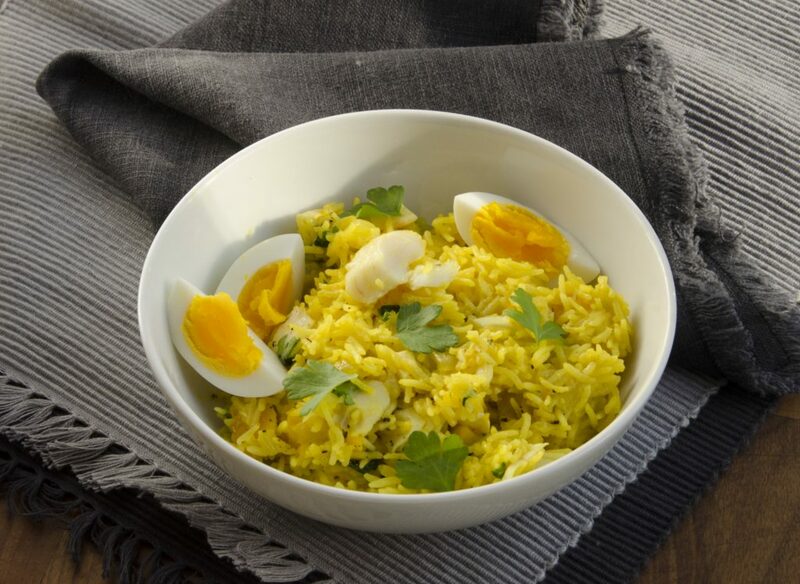 Traditionally a breakfast dish, Smoked Haddock Kedgeree was served during the time of the Raj for the spice shy Brits. If there is one dish that sums up all I love to eat, then this one hits the spot. Fish, eggs and spice: heaven in a plate. There are many variations on this recipe and I’ve experimented with lots over the years. Finally settling on this version with it’s subtle spicing which takes nothing away from the fish. Breakfast, lunch or dinner, serve me this dish and I’ll be quite content. So have I converted my fellow blogger over the course of the last year or so? I believe I have as Michelle no longer avoids fish, quite the opposite. At one time believing she didn’t like smoked fish at all, she would now count kedgeree as one of her comfort food favourites. Success indeed!